Kimberly says, Don't leave San Antonio without visiting our arts district, Southtown for good food, art, architecture and culture. 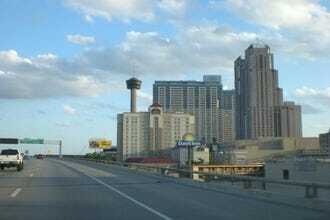 Welcome to San Antonio, also known as the Alamo City, home of the championship Spurs! For those looking for a great hotel within a reasonable distance of the AT&T Center, which is located on the east side of San Antonio, close to downtown, keep reading to find the perfect hotel for you! Hotel Emma is easily the newest hotel to grace the city, and grace it she does. 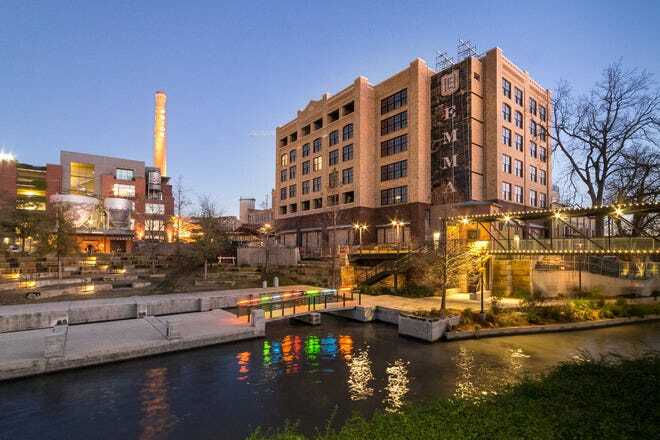 Only minutes from the AT&T Center and located at the historic Pearl Brewery, Hotel Emma is a hub of culture and hot spot for some of the finest restaurants, bars, and shops in town. For an equally luxurious experience, located in the midst of the vibrant downtown buzz, the Hotel Contessa, which is newly renovated offers its guests a chance to relax in style when they're not out on the town having fun or attending an important event. Mokara, located nearby Hotel Contessa, is another top-notch hotel where people go to relax and get pampered. In fact both hotels feature rooftop pools with great views of the city - so beautiful, you may find it hard to leave. The Grand Hyatt caters to folks attending conventions and events, so if you're just wanting to breeze in and out, they know how to provide for all the needs of a busy traveler. Read on to find out what other amazing options are available to you! Its name means Palace by the River. This Hilton property is directly across from the River Walk's boat service. Take the river boat to restaurants or clubs or walk leisurely along the river banks. Major attractions are within walking distance. 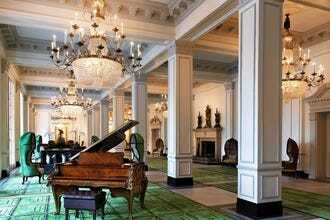 With nearly 500 rooms, the hotel is a milestone in San Antonio's history. Built in 1968 to welcome the Texas World Fair, each hotel room was constructed and fully decorated with furniture and amenities before arriving at the construction site. 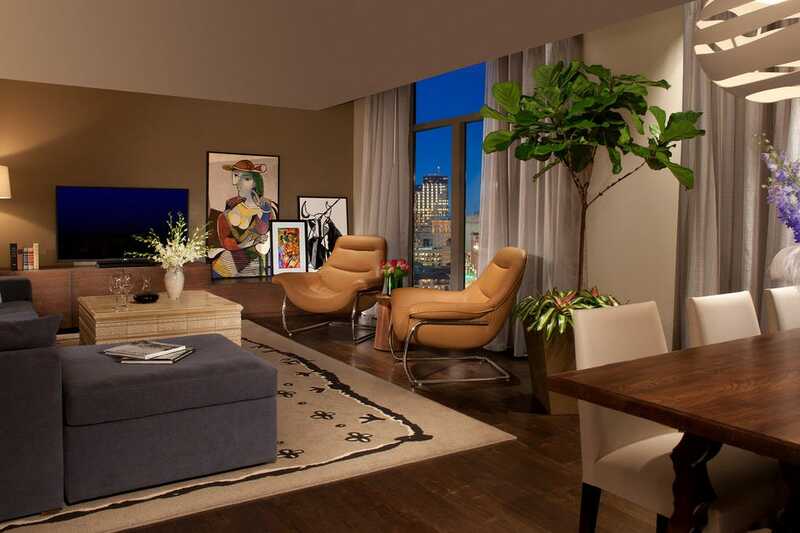 Recently, the property underwent a $27 million guestroom redesign. Visitors enjoy first-rate upgrades and great amenities. 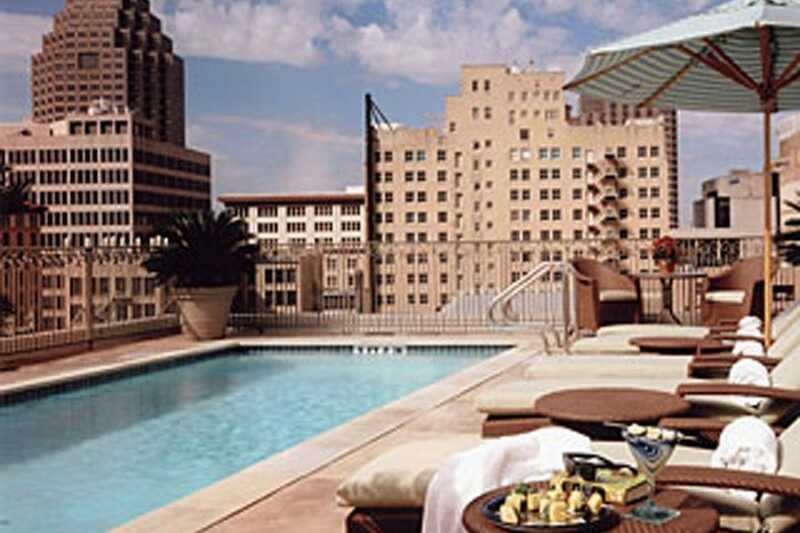 The only hotel in downtown San Antonio that features a private balcony in every room. 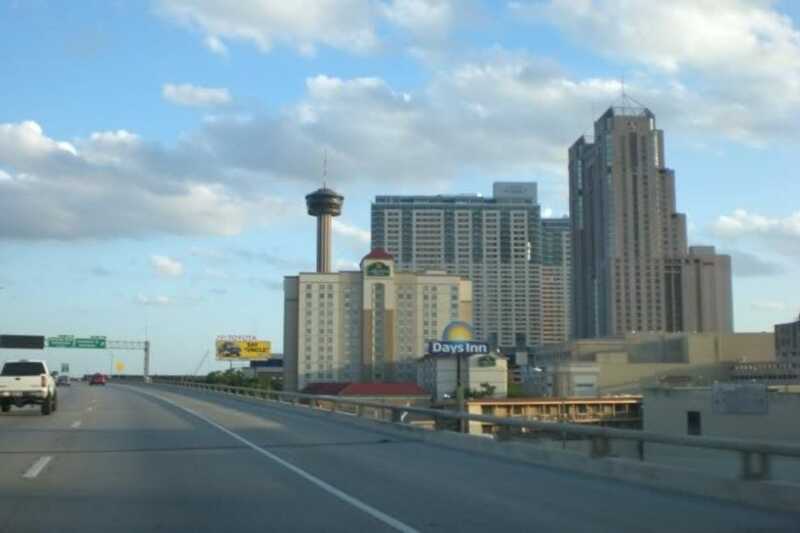 This San Antonio hotel is close to many attractions the city has to offer. Located off I-35 and near a number of attractions, guests of La Quinta Inn and Suites San Antonio Downtown will find that many spots are within walking distance. The 151 rooms found at La Quinta Inn & Suites San Antonio Downtown include refrigerators, coffeemakers, irons and ironing boards, hairdryers, telephones, voicemail, workstations, cable television, wireless Internet access and more. Guests staying at La Quinta Inn & Suites San Antonio Downtown will find that it includes a heated pool, whirlpool, fitness room, and more. Guest will receive a complimentary breakfast each morning before they start their day. In addition, the hotel has laundry facilities, a 24-hr front desk, coffee and microwave in the lobby, and parking. 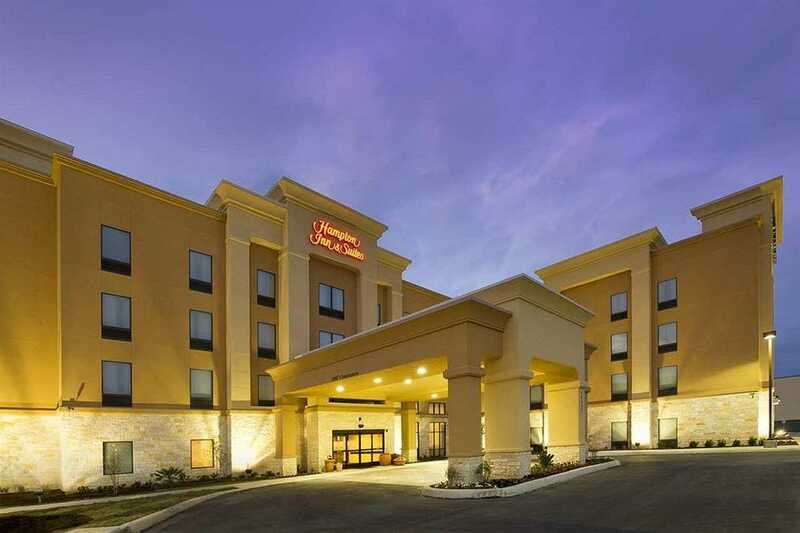 Hampton Inn & Suites is a nice and inexpensive place to stay when visiting San Antonio, especially if you have plans anywhere along I35. Besides the AT&T Center, it's also conveniently located near the airport, Fort Sam Houston, the San Antonio Zoo, the McNay Art Museum, and the San Antonio Botanical Gardens, which are must-sees when visiting the Alamo city. Features include recreational amenities such as an indoor pool, a health club, a spa tub, and a fitness facility. This 2.5-star property has a 24-hour business center and offers small meeting rooms, audio-visual equipment, and business services. Complimentary wireless and wired high-speed Internet access is available in public areas. 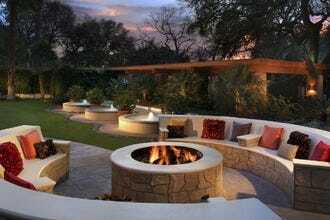 This San Antonio property has 450 square feet of event space. Guests also receive a complimentary full breakfast and free parking. A total renovation of this property was completed in August 2010. This stunning hotel, situated on a quiet stretch of the North Riverwalk known as the Museum Reach, is almost a century old and offers elegant accommodations, from the studios to the Penthouse Suite. Each of the 27 rooms at the Hotel Havana is unique and designed for relaxation. Each room features original Bastrop pine floors and are decorated with antique furniture, Turkish rugs, and vintage Cuban artwork. You'll feel as if you're vacationing at a popular Caribbean Island city, as the Hotel Havana is inspired by their lush riverfront surroundings. Ocho, the on-site restaurant and lounge space serves drinks and food downstairs in the lower level and upstairs on the riverfront. We highly recommend this little gem! The Emily Morgan styles itself The Official Hotel of the Alamo and it's easy to see why. Its architectural design stands out next door to the Alamo. Enjoy luxury accommodations, Aveda skin care and all the amenities. A former medical building, it's reputed to be haunted and ghost hunters from near and far visit in hopes of spooky apparitions. However, most guests simply enjoy the Emily Morgan for its convenience to all things San Antonio. 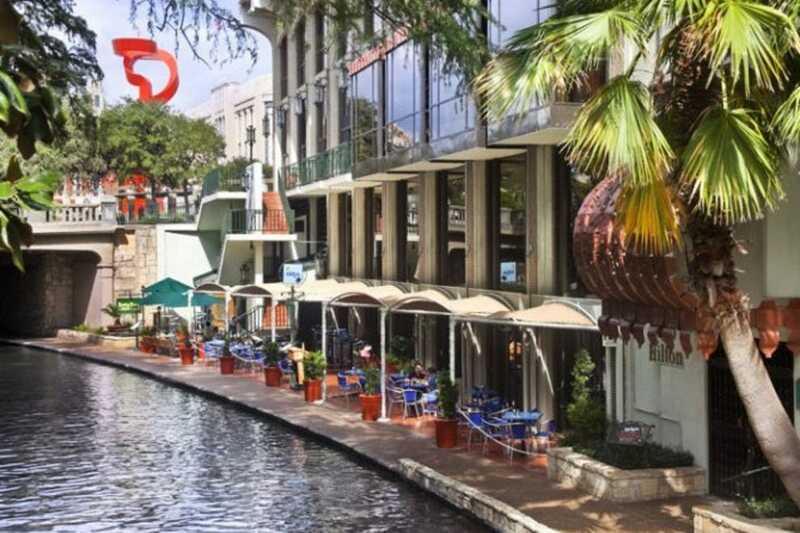 Within walking distance to countless restaurants, the River Walk, the Alamo, La Villita and more, you cannot go wrong choosing this hotel for its excellent location. 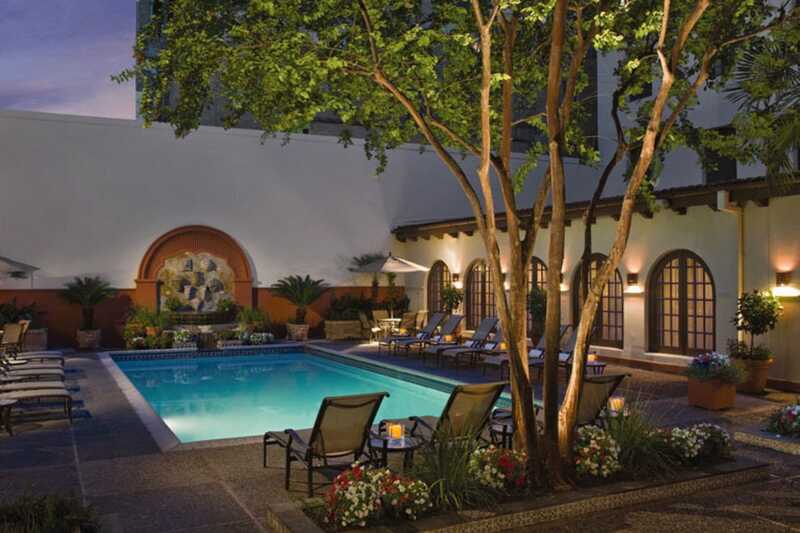 There isn't quite the right word than can fully express the opulence, luxury and elegance of this amazing hotel and spa located, you guessed it, right next to San Antonio's famous riverwalk, just three blocks from the Alamo. This wonderful sanctuary for weary travelers offers guests the finest in everything you can imagine. They're small compared to most hotels on the riverwalk, but this allows them to offer guests unusually attentive treatment and care. Guests can enjoy the full-service spa meant for relaxation and rejuvenation, the rooftop pool that offers excellent views of the city, a café, bar and restaurant, as well as a hairdressing salon, a currency exchange facility and so much more. Get ready to luxuriate in heaven on earth at Mokara. The Omni La Mansion del Rio, nestled along the historic riverwalk, is absolutely stunning with its Spanish-style architecture and elegantly furnished rooms. This amazing hotel is another of the most luxurious hotels you'll find in San Antonio with top-tier amenities that include a gorgeous courtyard with a heated swimming pool, a luxurious four star spa and world-class fitness center, as well as the on-site restaurant, Las Canarias, which is known for the finest handmade margaritas in the city! Other outstanding amenities include live Mariachi performances and the Omni Sensational Kids program. Be careful, however, because you may find yourself unwilling or unable to leave! 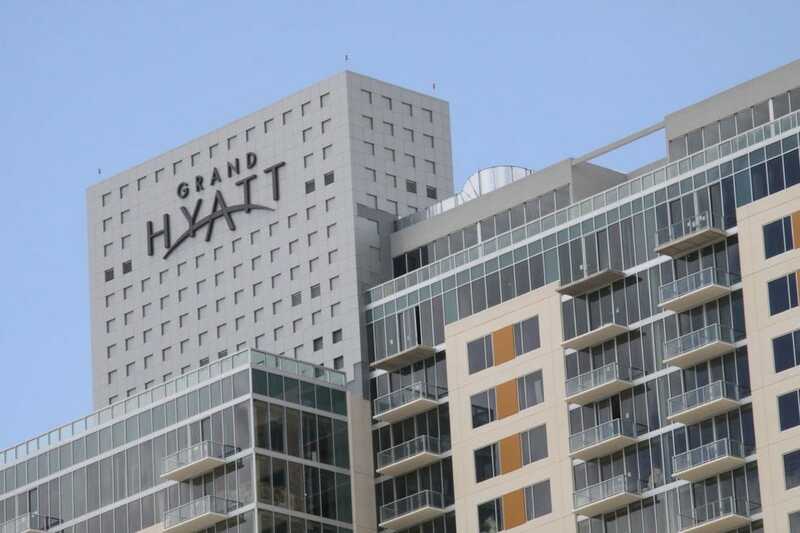 The Grand Hyatt is one of San Antonio's most recent hotel additions to downtown and the riverwalk. It is a massive architectural feat and a stunning structure to behold. For those visiting for a conference at the Henry B. Gonzalez Convention Center this is the perfect place to stay as it's literally a stone's throw away. If you're lucky enough to get a room with a view of the Tower of the Americas, it feels as if you can almost reach out and touch it. Of course, most popular downtown destinations, as well as shops and eateries, are within easy walking distance of the hotel. Be sure to step into the bar for a drink to mix with some of the locals who frequent this snazzy bar joint. Hotel Contessa isn't only one of the most beautiful and luxurious hotels in San Antonio but it's just a few blocks down the street from the Convention Center. Upon entering the Contessa, you might think you're in some other metropolitan city, perhaps even out of the country. This stylish and contemporary 4-star hotel sports a 24-hour business center and offers small meeting rooms, technology support staff, and audio-visual equipment for those who need it. After an exhausting day at the convention center, be sure to also take advantage of their full-service health spa, which offers body treatments, massage/treatment rooms, facials, and beauty services. They also have two on site-restaurants, including the amazing Las Ramblas, which has recently launched a fabulous new tapas menu. This is the best place to stay in San Antonio, whether you're here for a convention or not! Located at the Pearl Brewery, every detail of the guest experience at Hotel Emma has been thoughtfully considered, and that comes through in all aspects of the hotel, down to the cup of complimentary coffee. Hotel Emma has truly done an outstanding job of preserving and utilizing the original space, a 19th-century brewhouse, thanks largely to their designers – New York's Roman and Williams – who have artistically blended historical features with modern aesthetics. Each of the 146 rooms is unique because of their efforts to maintain the original architecture. The top-floor suites are very large, mostly two-story accommodations with full kitchens and large dining tables that encourage a memorable culinary experience. In fact, Hotel Emma will showcase its culinary prowess in multiple ways, including at its restaurant Supper; the bar and clubroom Sternewirth; and Larder, the curated market.